Custom Animations, Meshes and Textures. Added to the leveled list trough scrips to avoid conflicts. Completley standalone, no other mods or frameworks required. Unique legendaries hidden some where in the commonwealth. 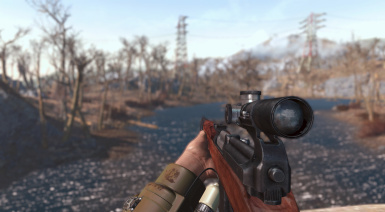 - "Save water, Drink Vodka"
The weapon is added to the leveled lists, you will start finding it on Gunners at level 16 and at vendors at around the same level. 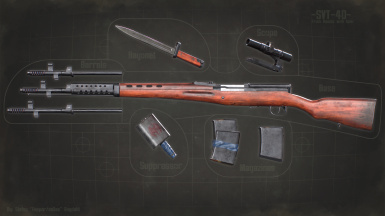 The weapon is added to the leveled lists, you will start finding it on Gunners and Raiders at level 10 and at vendors at around the same level. 1) Extract everything inside the "MAIN" folder to Fallout 4\Data. 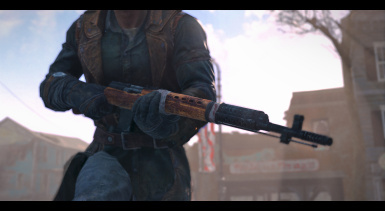 2) Extract the "SVT-40.esp" in "MAIN-ESP" to Fallout 4\Data if you want the gun to be added to the leveled list see "Optional" list. 1) Don't want the gun added the the leveled list? 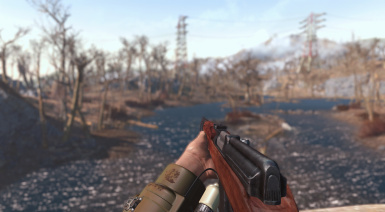 Extract "SVT-40.esp" from NOLL-ESP to Fallout 4\Data and hit YES on replacing the existing one. 2) Inside DMG-ESP you will find two(2) ".esp" files. Pick ONE(1) of them and extract it to Fallout 4\Data to boost the damage of the gun. 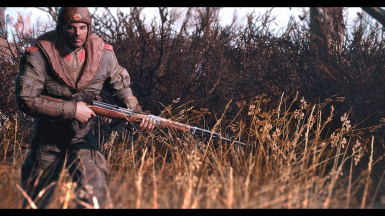 - Extract "SVT-40 - AWKCR.esp" to Fallout 4\Data for the base AWKCR support. 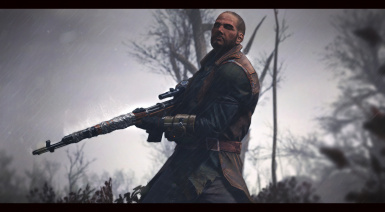 - Extract "SVT-40 - AWKCR-VIS.esp" to Fallout 4\Data if you got AWKCR and Valdacil's Item Sorting Installed. Ha_ru/blackxteel: Animations and general champ! Ceds, HyperX (FX0x01): General Help and fixes. 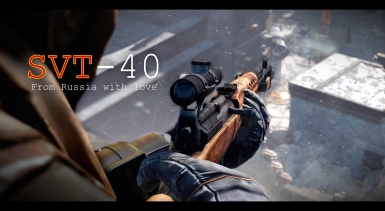 Hitman47101: Helping and giving advice to Ha_ru/blackxteel. Thanks to anyone who watched my streams over at YouTube for keeping me entertained with your sick chat banter and help! Special thanks to everyone over at the Facepunch Fallout 4 Modding discord that helped me! Bethesda for releasing the tools!